CHICAGO (Aug. 25, 2017) – (RealEstateRama) — Jefferson L. Sherman, MAI, AI-GRS, of Highland Heights, Ohio, was elected 2018 vice president of the nations largest professional association of real estate appraisers Thursday by its Board of Directors in Chicago. Shermans one-year term at the Appraisal Institute will begin Jan. 1, followed by one year each as president-elect, president and immediate past president. He will serve on AIs Executive Committee and the policy-making Board of Directors all four years. He also will chair the Finance Committee in 2018 and the National Nominating Committee in 2021. 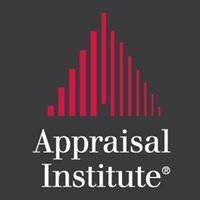 It is an honor to be elected to serve the Appraisal Institute and its professionals, Sherman said. I am humbled to be offered this opportunity, and I look forward to working with my fellow valuation professionals to make the most of it. Sherman has been a real estate professional for 44 years, including as a broker in Colorado and then in Michigan. His practice concentrates on the eminent domain field with emphasis on litigation review. His firm, Sherman-Andrzejczyk Group, Inc., is comprised of six people, including his son. During his years as a Realtor, he twice served as president of the Battle Creek (Michigan) Board of Realtors and was named Realtor of the Year in 1982.